This is the newest gaming accessory that everyone is talking about, the ultimate in analog covers has finally arrived! Now you can take control of your games and elevate performance for console players, they are so easy to attach to the analog stick and prevents slippage, enhances feel and sensitivity when playing the game, you’ll never want to play without them again. Created from exclusive materials that are soft to the touch and feel good on your fingers for extended play time and best of all the extra grip is there when you need it most. Thumb stick covers are the answer to every gamers goal, “Be the Best” Hence, thumb stick covers was born giving the gamer the competitive edge they demand. Get the best grip out of your console game pads and have the competitive edge you always wanted. Check Out Our Special Offers! Free Controller Stick Covers With Any Controller Purchase. 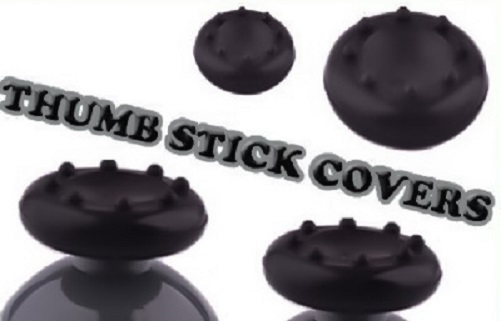 Get your Free Controller Thumb Stick Covers Today! Limited Time Offer.